Melissa McCarthy attends the EE British Academy Film Awards Gala Dinner at Grosvenor House on February 10, 2019 in London, England. Melissa McCarthy added a bright spot with a white envelope clutch. 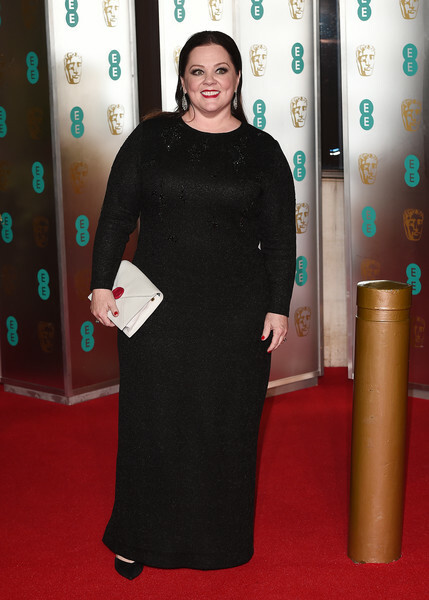 Melissa McCarthy kept it minimal in a long-sleeve black column dress by St. John at the EE British Academy Film Awards.